John C. Boland is, in addition to being a first-rate storyteller, a journalist by trade and, more recently, publisher of Perfect Crime Books. His first story for AHMM appeared in 1976, and since then his stories and novels have been shortlisted for Edgar, Shamus, and many other literary awards. In this post he shares some insights into his marvelous series featuring CIA officer Charles Marley. I envy writers who sit down in the morning, launch into a story with some idea of where it’s headed, and by lunchtime have 3,500 publishable words. When I say I envy them, that also implies I resent their efficiency. I’ve done it in their admirable way now and then. But most of the time my method is closer to making sausage in a dimly lit garage. 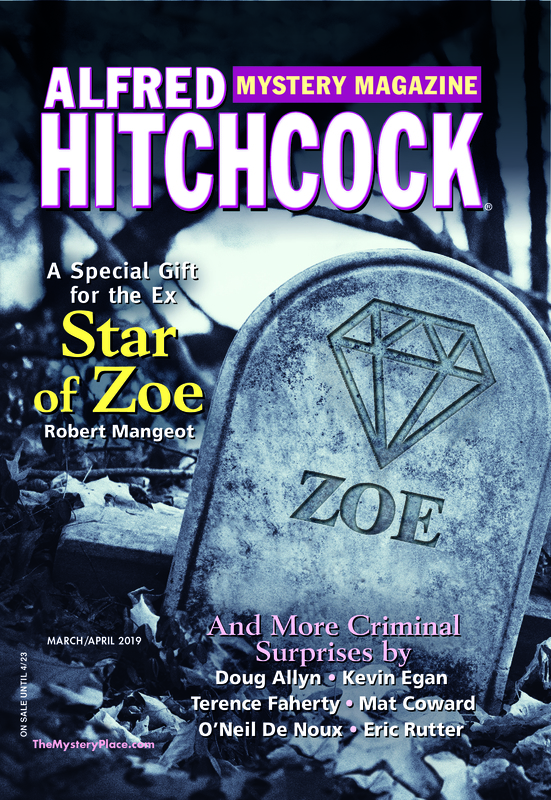 My story in the April Hitchcock’s, “Marley’s Lover,” is a case in point: bits from a failed literary story have been chopped free and stuffed into a mystery casing. I like both stories, as it happens, though both have weaknesses. In “Marley’s Lover,” I got to ridicule the connect-the-dots fallacy that produces “history,” I got to complain (as usual) about the damage inflicted on all of us by time, I got to brush alongside the question of why a number of American Communists became life-long traitors and, finally, I got to duck it by borrowing the words of the British spy Kim Philby on the matter of “staying the course.” There is an implication at the very end that my retired CIA case officer, Charles Marley, has been more of a fool than usual. The original story had neither Marley nor espionage. Entitled “Just Like That,” it imagines a man at a California resort meeting by chance a woman he had known decades earlier. (Marley does this, too, but not by chance.) “Just Like That” has no real plot. Its focal character lingers in a poolside chair long after dusk, when the air is cooling, and resists a suggestion he go inside because he fears that if he acknowledges the passage of the day the next thirty years’ worth of days will flit by “just like that”—as it seems the previous decades’ worth have done. It was an exercise in melancholy but not a well-built story. I’ve done this many times. “Killing Morris Gimple,” from the June 2014 Hitchcock’s, drew its title character from a non-mystery called “I’m Not Enjoying This.” Here the seams may show, as the viewpoint shifts back and forth between Morris and the young female detective who is protecting him. (Readers are entitled sometimes to hate writers.) In “Out of Her Depth” (AHMM, December 2009), several pages of a novel that never got far provided the opening, in the third person, for a private-eye story told in the first person. (The first-person pages got written straight-through, just like one is supposed to do.) In “Marley’s Havana” (AHMM, March 2011), the opening scene at a Cuban nightclub was adapted from yet another novel fragment. A reader, already muttering, might ask “Why?” There are usually two reasons. One, if there’s a theme I like, sometimes it’s possible to lift it from a form that hasn’t worked into the more structured form of a mystery story. Two, and more common, I often want to give a second chance to some fragment of remembered reality: an afternoon at a desert resort, several grumpy days on a Gulf Coast beach, an evening at a nightclub in Havana. I don’t get much chance to talk to other writers. So I haven’t compared methods. But I wonder how many sausage-makers are out there.